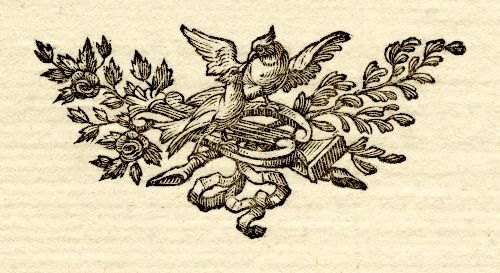 Two birds touch beaks, perhaps a mother feeding a baby, in this printer’s ornament, used as a tailpiece (tail-piece) at the end of a chapter. 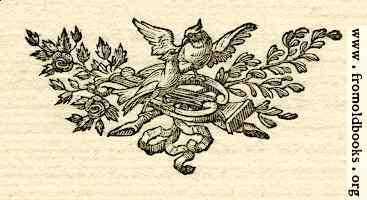 The design includes a harp, roses, ribbon or bunting and perhaps an olive branch. I have left this item in colour, showing the texture of the two-hundred-and-thirty-year-old paper.